You obsess over website traffic wins. You look for more opportunities to show up in search. And you evolve your digital marketing efforts in line with Google’s latest changes. This one-day Advanced SEO training workshop with Bruce Clay at SMX is for you. Spend Monday, June 3 with a master SEO and come away with cutting-edge SEO techniques – tackling RankBrain, voice search, AMP, featured snippets, and more – that can help raise your rankings and visibility in search engines. Your intensive learning experience is taught by Bruce Clay, an SEO thought-leader since 1996 and recipient of the History of SEO Lifetime Achievement Award. Bruce has taught ethical SEO methodology to more than 5,000 professionals around the world. You can read many of their testimonials below. You have SEO experience, but would you like to walk through how Bruce Clay does SEO? Use the tools his agency built for their own client work to slice and dice content, competitors, site performance, and more. 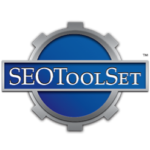 You’ll have a whole new outlook on your SEO campaigns with these cutting-edge tools and proven methodology. Business owners, marketing managers, IT specialists, content developers, and SEOs will gain clarity and confidence from this training. This is an advanced SEO training that builds on your current search engine optimization knowledge and takes it further. You’ll leave with questions answered, absolutely full of ideas to improve your digital marketing. Note: Bruce Clay SEO Training will be held on Monday, June 3 at the Bell Harbor International Conference Center. The seminar will begin promptly at 9:00am; please arrive at least 15 minutes early to register and pick up your course materials. Breakfast, lunch, and snacks will be served. The seminar will end at approximately 5:00pm. Have questions? Email us at registration@searchmarketingexpo.com or call (877) 242-5242. He was awarded the 2013 Lifetime Achievement Award from the History of SEO Advisory Board. Bruce has authored many books, including “Search Engine Optimization All-in-One for Dummies” for Wiley. He has spoken at hundreds of marketing industry events, including Search Marketing Expo (SMX), Search Engine Strategies, WebmasterWorld, and ad:Tech, and has been quoted in the Wall Street Journal, USA Today, PC Week, Wired Magazine, Smart Money, and many other publications. Did the SEO workshop exceed your expectations? What would you change about the teaching methods of the instructor? Did the course increase your appreciation of the subject matter?